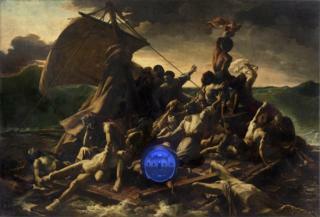 Works by renowned artist Jeff Koons have gone on display in the UK for the first time. The US artist said he hoped the exhibition would create a “dialogue” with visitors to the Ashmolean Museum in Oxford. The display showcases 17 pieces from throughout his career, including 14 never before shown in this country. Koons decided to host the show in Oxford after a visit to accept an award from a university society in 2017. In 2013 his sculpture Balloon Dog broke the world record for the highest price paid for a single artwork made by a living artist, selling for £36.7m. 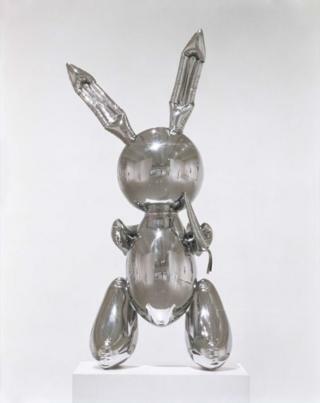 Koons became widely recognised for contemporary sculptures after a solo exhibition in 1980. He is best known for his stainless steel sculptures of balloon animals, as well as using ready-made and found objects in his work. His art has been shown in major galleries throughout the world, including the Whitney Museum of American Art and the Pompidou Centre in Paris. His giant floral sculpture Puppy is permanently installed outside the Guggenheim museum in Bilbao. He honours include the French Légion d’Honneur and the US State Department’s Medal of the Arts. 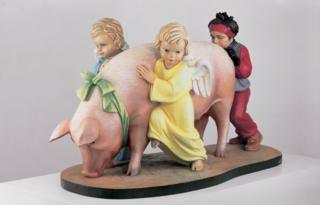 Asked how he feel to be displaying his work in the world’s oldest public museum, Koons said: “I have to pinch myself. I feel so fortunate I have a platform to show my works. “To be here and to be in a dialogue with the students of Oxford, the people that come to the Ashmolean, about what art can be, it’s so exciting. Exhibition curator Sir Norman Rosenthal said: “Jeff Koons’s work plays with our memories of childhood and our “educated” cultural experiences as he blends high and low culture. “Putting his work in the Ashmolean – the first museum in the very heart of academia, Oxford University – we can take his experiment a step further.